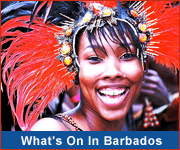 There is always something to keep you entertained while in Barbados! Exciting night life, excellent dining and dinner shows, shopping, romantic cruises, night submarine dives, and special activities for children. Our calendar of events is extensive with activities ranging from sports to culture, music and dining events. Discover Red Door Lounge - Barbados' premier nightlife hideaway in Holetown's trendy Second Street. This intimate and exclusive lounge offers an upscale, urban vibe with great entertainment. Relax by day poolside at the informal South Gap Hotel, then by night walk just a few steps to the clubs, bars and restaurants in St. Lawrence Gap. Visit Harbour Lights Nightclub - Barbados' most tropical and trendy nightspot. 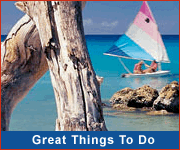 Swaying palm trees, calypso playing and sand beneath your feet, now you know you are in the Caribbean.